Miles of Atlantic beaches, posh seaside accommodations, upscale shopping and dining, and a relaxing atmosphere make this vacation destionation popular with visitors who want to enjoy the beach. 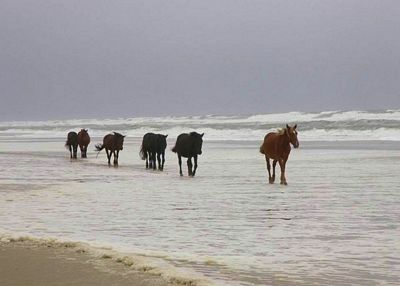 With only 500 year-round residents, this lovely section of the Outer Banks is a great tourist destination that can easily accomodate the thousands of annual visitors who come to relax. 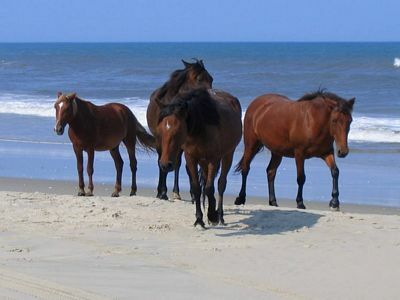 Wild horses have roamed the Currituck Outer Banks for almost 500 years. Corolla's history dates back centuries. 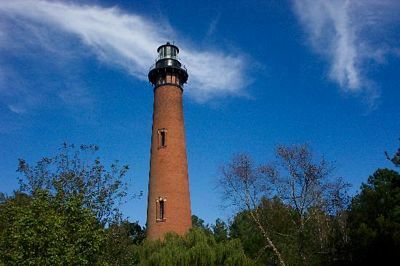 Corolla was originally the name for a small village sitting beneath the Currituck Beach Lighthouse. Native American heritage is evident in the names of surrounding places. Corolla was the site of a U.S. Coast Guard training base during World War II. Residents were required to darken their windows and not use headlights when driving on the beach because German U-boats came very close to the Outer Banks shoreline. Wrecks still lie beneath the sea off the coast. 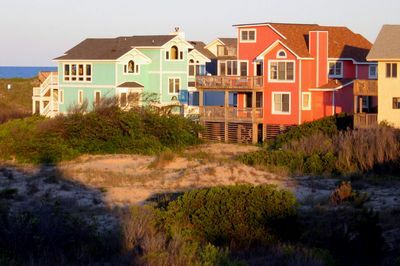 Corolla's main tourist season is summer, but autumn is a wonderful time to go. Businesses are open and rates decrease once the main season ends. Mild winters and spring make nice times to go as well, especially for great deals on lodging, although some businesses are closed during the winter. Editor's note: When you visit a location where wildlife roam free, please be responsible and respect the animals and their environment. If you see anyone herding or abusing wild animals, contact the police or call 911 immediately.